We will be servicing the following cities in Bergen: Allendale, alpine, Bergenfield, Bogota, Carlstadt, Cliff Park, Cliffside Park, Closter, Cresskill, Darlington, Demarest, Dumont, East Rutherford, Waldwick, Wallington, Washington Township, Woodcliff Lake, Edgewater, Elmwood Park, Emerson, Englewood, Englewood Cliffs, Fair Lawn, Fairview, Fort Lee, Franklin Lakes, Garfield, Glen Rock, Hack, Hackensack, Upper Saddle River, West Englewood, Wyckoff, Harrington Park, Hasbrouck Heights, Haworth, Hillsdale, Ho-Ho-Kus, Leonia, Little Ferry, Lodi, Lyndhurst, Mahwah, Maywood, Midland Park, Montvale, Tenafly, Teterboro, West Fort Lee, Moonachie, Morsemere, New Milford, North Arlington, North Milford, Northvale, Norwood, Oakland, Old Tappan, Oradell, Outwater, Palisade, Palisades Park, South Hackensack, Teaneck, Westwood, Paramus, Park Ridge, Radburn, Ramsey, Ridgefield, Ridgefield Park, Ridgewood, Ritz, River Edge, River Vale, Rochelle Park, Rockleigh, Rutherford, Saddle Brook, Saddle River, and Wood-Ridge. At POOP 911 we understand between driving your kids to practice, work, and life you do not have the time to worry about cleaning up after your favorite pets waste. If you have a party, don’t worry about your friends and family needing to watch their step. Let POOP 911 be your answer. We offer customizable pooper scooper service in your area. With our weekly, bi-weekly, and even monthly service programs will help to keep your yard green and poop free. With our fully automated billing program you will be charged for each individual service only after your yard is clean. Call POOP 911 today. If you are not happy with your service, your next scooping is FREE! We provide pet waste removal service in all the following cities of Essex County: Academy, Ampere, Belleville, Bloomfield, Brookdale, Caldwell, Cedar Grove, Doddtown, East Orange, Essex Fells, Fairfield, Glen Ridge, Grove, Ironbound, Irvington, Livingston, Maplewood, Midtown, Millburn, Montclair, Newark, North Caldwell, North Center, Nutley, Orange, Overbrook, Roseland, Roseville, South Orange, Upper Montclair, Vailsburg, Verona, Washington Park, Weequahic, West Caldwell, West Orange, Short Hills. Northern New Jersey POOP 911 is now helping busy families enjoy their yards more throughout the year. Enjoy this BBQ season fully without the smell or telling your guest to watch their steps. We offer weekly, bi-weekly, and even monthly service options to fit your yards summer needs. We have eliminated large fees at the end or beginning of each month. Our automated scheduling and billing systems make sure you are charged for each service you receive. Let Northern New Jersey POOP 911 solve the headache of who is going to scoop your yard next. Call POOP 911 to experience a green and poop free yard today! If you are not happy with your service, your next yard cleaning is FREE. Northern New Jersey POOP 911 Pooper Scooper Service in Morris County, New Jersey. You can experience Northern New Jersey POOP 911 pet waste cleanup service in all the following cities of Morris County: Boonton, Boonton Township, Brookside, Budd Lake, Butler, Cedar Knolls, Chester, Convent Station, Denville, Pompton Plains, Powerville, Randolph, Riverdale, Dover, Dover Annex, East Hanover, Fayson Lakes, Flanders, Florham Park, Gillette, Green Village, Greystone Park, Hibernia, High Crest, Pequannock, Pequannock Township, Picatinny Arsenal, Pine Brook, Ironia, Kenvil, Kennelon, Lake Hiawatha, Lake Hopatcong, Lake Intervale, Landing, Ledgewood, Lincoln Park, Lindy Lake, Long Valley, Mountain Lakes, Netcong, New Vernon Parsippany, Lower Montville, Lyonsville, Madison, Mendham, Meriden, Millington, Mine Hill, Montville, Montville Township, Morris Plains, Morristown, Mount Arlington, Mount Freedom, Mount Olive, Mount Tabor, Roxbury Township, Schooleys Mountain, Stirling, Succasunna, Tabor, Taylortown, Towaco, Troy Hills, Victory Gardens, Wharton, Whippany, Rockaway Valley, Parsippany Troy Hills, Pompton Junction, Rockaway. Your local POOP 911 team is available to dispose of your cat and dog waste in the Morris County area. Is it always a fight on who is going to cleanup after your dog before company arrives? Are you tired of reminding your husband/wife to pick up after the family pet? Do your kids charge you an arm and a leg to pick up after the dog? If you answer yes to any of these questions let Northern New Jersey POOP 911 be your answer. We offer a customizable service in order to fit your family’s needs. We can scoop your yard weekly, bi-weekly, or even monthly to help keep your yard green and poop free. Our fully automated billing program allows you to pay for each service once your yard is clean. Experience a poop free yard today, call POOP 911. We guarantee our service. If you are not happy at anytime your next service is FREE! We are providing the following cities of Passaic County with poop free yards: Allwood, Awosting, Bloomingdale, Clifton, Cozy Lake, Cupsaw Lake, Delawanna, Dundee, Erskine, Erskine Lakes, Gordon Lakes, Great Notch, Haledon, Haskell, Hawthorne, Hewitt, Hillcrest, Jefferson Township, Lake Swannanoa, Lionshead Lake, Little Falls, Main Avenue Station, Midvale, Mountain View, Newfoundland, Wanaque, Passaic Park, Paterson, Peoples Park, Pine Cliff Lake, Pines Lake, Pompton Falls, Pmpton Lakes, Preakness, Prospect Park, Ringwood, Shady Lake, Singac, Wayne, Skyline Lakes, South Paterson, Totowa, Totowa Boro, Upper Greenwood Lake, North Haledon, Oak Ridge, Packanack Lake, Passaic, Green Pond, Greenwood Lake, West Milford, Greenpond. Northern New Jersey POOP 911 is now offering pet waste clean up service in Passaic County. The average dog poops 3 to 4 times a day. We love our pets, but we don’t love the mess they leave behind. Enjoy your yard this summer without any worries about if you were able to clean your yard before your guest arrived. Let Northern New Jersey POOP 911 worry about making sure your yard is poop free and party ready. Due to our fully automated billing program you are charged after each service has been completed. Our scooping service is customizable. We offer weekly, bi-weekly, and monthly services in order to help keep your yard green and poop free. Call Northern New Jersey POOP 911 today. Our service is guaranteed. If you are not happy your next service is FREE! Do your kids charge an arm and a leg to clean up after the family pet? Are you going gray waiting for the yard to be cleaned? What if we told you we have a solution? Here at POOP 911 Northern New Jersey we specialize in keeping yards poop free. Our completely customizable dog and cat waste removal service offers weekly, bi-weekly, and even monthly service to fit your family’s needs. We can even come out right before your backyard party. With our automated and scheduling billing program you are only charged for service provided. Call POOP 911 today! In less than 3 minutes you to can have a poop free yard. We are completely committed to your satisfaction. If at anytime you are unhappy with your service, your next scooping is FREE! Here at POOP 911 Northern New Jersey your pet’s #2 is our #1 priority. Spend more time with the family other than cleaning up after the family pet. No longer do you need to worry about telling your guest to watch their steps during a backyard party. No longer do you need to worry about dog poop in the pile of leaves your kids want to jump into. Let POOP 911 do the dirty work for you. We offer a completely customizable pet waste cleanup service in your area. We can schedule weekly, bi-weekly, and even monthly programs to fit you family and pets needs. Due to our fully automated scheduling and billing program you can rest assured that you are only charged for service that has been provided. Buy back your time; Call POOP 911 today! Our service is guaranteed. If you are not satisfied with your service, your next scooping is FREE! 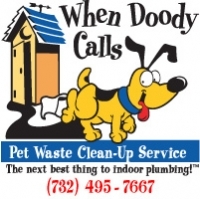 When Doody Calls Pet Waste Clean-Up services Middlesex County, Monmouty County, and Ocean County in New Jersey. Visit our sister company The Doody Retrievers if you need dog poop cleaning services in Staten Island. We are helping pet owners reclaim their yards in Allenhurst Allenwood Asbury Park Atlantic Highlands Avon by the Sea Belford Belmar Brick, Brielle Bradley Beach Cliffwood Beach Colts Neck Deal East Freehold Eatontown Englishtown Fairview Fair Haven Farmingdale Freehold Hazlet Highlands Hillsdale, Holmdel Howell Interlaken Jackson Keansburg Keyport Lakewood Leonardo Lincroft Little Silver Loch Arbour Long Branch Manalapan Manasquan Marlboro Matawan Middletown Monmouth Beach Morganville Navesink Neptune City North Middletown Oakhurst Oceanport Ocean Grove Point Pleasant Port Monmouth Ramtown Red Bank Robertsville Roosevelt Rumson Sea Bright Sea Girt Shark River Hills Shrewsbury South Belmar Strathmore Tinton Falls Union Beach Wall Township Wanamassa West Belmar West Freehold and West Long Branch. If you do not see your town on the list, please give us a call to find out about bringing When Doody Calls to your area! When Doody Calls is the next best thing to indoor plumbing! We answer with a rake and a promise to help you maintain a safe and healthy yard for you and your family to enjoy. We take your business seriously, and it shows. Our attitude is "The customer comes first". Let us help you reclaim your yard from the unpleasant land mines that your pet leaves behind. When Doody Calls will make sure that you have a safe and healthy yard for you and your family to enjoy. We promise you'll see results from our service. So go ahead, make those plans to relax and have fun in your yard. We stand behind our promise… and your dog! In the Line of Dooty is a dog waste cleanup company that was established in 2002 and has satisfied countless customers. We currently service parts of Bergen, Morris, Essex, Passaic and Sussex counties. Contact us to see if we service your specific area. We know our pooper scooper business depends on doing exceptional work, and it's the quality of our service on which we stake our success. We are tirelessly working to brand In the Line of Dooty as the reliable, high-quality dog waste cleanup company in Northern New Jersey. We can help you transform your backyard from a "minefield" of dog poop into a clean, safe environment for the whole family to enjoy. Belleville, Nutley, Bloomfield, Montclair, Glen Ridge, Cedar Grove, Newark, W. Orange, S. Orange, N. Caldwell, W. Caldwell, Essex Fells, Verona, Maplewood, Millburn, Livingston, Roseland, Fairfield, Short Hills. ALSO SERVING: Clifton, Kearny, Lyndhurst, and N. Arlington. 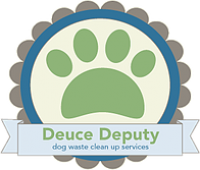 Call 973-280-4893 to start your Dog Poop Cleanup Services in Essex County, New Jersey and surrounding areas with Deuce Deputy. Service is homeowners with pets is provided Monday though Friday, year round. A free estimate can be scheduled at your home and prices given for service based on the number of pets, size of yard and how frequently you would like to have your pet waste cleaned up. An online form can also be filled out on the deucedeputy.com website as well. Pet Waste Removal Services can also be paid for directly on the website using Paypal. Once you have a service like this, you be a much more happy homeowner and feel that much more in love with all your pets at your home. Your family and neighbors will also be happy you booked the Deuce Deputy Pet Poop Removal Service as well. Pet owners, Let's face it- we love playing with our pets and enjoy their company. However, if we could, we'd let someone else cleanup after them. Well, now you can call K9 Doodie Patrol dog waste removal service and leave the dirty work to us. K9 Doodie Patrol is an independently owned and operated pet waste removal service. Our goal is to provide you with the best service. We will treat your home and yard with the utmost respect and privacy. We know you will be pleased with our 100% satisfaction guaranteed work and look forward to building a lasting relationship with you and your dog(s). Call us today for reliable, sanitary poop-scoop services. 609-817-5937 or visit our FAQS page for more information. 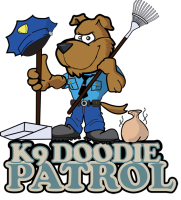 · K9 Doodie Patrol is a company that keeps you & your pets healthy. With us, you can once again enjoy your yard. · No contract necessary. We only require you to sign a form that gives us permission to enter your yard. · As a thank you for every new client that you refer to us, we will give you a one service week of credit toward waste services. Have you or your friends let us know that you are the one referring so that we can credit your account. "We do a job that no one else wants! Give us a call or email today and keep your property clean and disease free. Your pets can contract worms such as hookworm, ringworm and disease from their own waste if left out for a long period of time. Don´t let a mess pile up, call Maxie´s and keep it picked up. Poop scooping in Bass River Township Beverly Birmingham Bordentown Browns Mills Chatsworth Mount Holly Township Columbus Cookstown Crosswicks Fieldsboro Fort Dix Jobstown Juliustown Marlton Medford Lakes New Gretna New Lisbon Palmyra Rancocas Riverton Roebling Trenton and alot more cities in New Jersey. All Dogs Poop is a locally owned & operated, dog waste removal company providing service to dog owners in both Camden County & Burlington County, in Southern NJ. We provide pooper scooper service in the following towns: Audubon Cherry Hill Cinnaminson Collingswood Delran Evesham Haddonfield Haddon Township Haddon Heights Maple Shade Marlton Merchantville Moorestown Mount Laurel Palmyra Pennsauken Riverton Riverside Voorhees and Westmont. All Dogs Poop offers affordable weekly service for as little as $10/week for one dog--each additional dog is only $4/each. We provide weekly, twice-a-week, and one-time clean-up service. Seniors and service dog owners receive a 10% discount. Help homeless dogs and cats while you get your yard scooped! All Dogs Poop donates 1% of all revenue to 4 local animal adoption agencies. We are pet parents who want the absolute best for our “family”, and understand you want the same for yours. Your time is valuable, and it’s limited--and who really likes to clean up dog poop? If you can’t do it yourself, please contact us to discuss taking this task off your hands. We promise you the highest level of customer service, satisfaction and integrity. All Dogs Poop...saving the planet, one pile at a time. Referral compensation for new clients suggested to them as well as Gift Certificate sales available. Pet waste removal prices are listed on the website up to 5 dogs, residential. Call for further details if you have more than 5 canines at your home or manage a commercial type property and require professional animal waste management services. There are also complementary home care services that can be added onto the pet waste removal: yard deodorizer, flea and tick eliminator as well as removing goose poop while cleaning up after your dogs. For an extra fee, Call 2 Doody can haul away the pet waste from your home. If you are particular about your pets backyard living quarters, you may also be interested in patio cement scrubbing of dog runs as an additional level of cleanliness. "Your dogs doody is our duty." Dr. Pooper Scooper business prides itself on performing an ultra clean service even when snowfall is an issue. The easiest way to scoop poop and have a whole lot more time left over to play with your dogs and children is to call the Doctor. Dr. Pooper Scooper that is. He does house calls. If you are a pet owner requiring a professional to take over this chore for you, yet you live outside Sussex, please call as they may be improving lawns in your neck of the woods by this writing. Tom W.´s dog waste removal company is really picking up an gaining speed in 3 different counties in New Jersey. If you do not see your city listed, chances are good that they may already be disposing of dog poop in your area. Company can offer custom bids to larger residential and commercial properties of all sizes requiring the convenience and value of professional pet waste removal. A fraction of the cities served: Belleville Bloomfield Boonton Caldwell Cedar Grove Cedar Knolls Chatham (Morris County) Denville East Hanover East Orange Essex Fells Fairfield Glen Ridge Hanover Lake Hiawatha Livingston Madison Millburn Montville Newark Nutley Orange Roseland Verona West Orange & Wharton +. Pet Waste Removal Services In Morris County, Monmouth County & Ocean County, NJ – 1-866-900-5634. Scoop De Tail is a professional year round pet waste removal service specializing in the removal of dog waste from your yard. We find, scoop, securely bag, and deposit into your trash container all those doggie "calling cards" that mess up your property, and pose a health threat to your family and your pets. All tools are disinfected after each visit for your family's added protection. Just think. 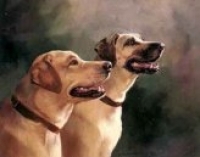 No more getting your hands dirty; no more tracking of poop into your home; no more bickering about whose turn it is to clean up after Fido; no more time wasted searching out doggie land mines. All you'll have is one convenient monthly fee and more time to spend with your family. We also offer daily dog walking and exercise as well as overnight boarding in our pet friendly home. Visit our website to find out more about our services. Scoop De Tail…we’ve got you covered from nose to tail! EZ Pet Waste Removal is a family owned and operated buisness. We are bonded and insured for your protection and ours. We treat our customers as we ourselves would like to be treated, with respect and professionalism! We provide poop scooping services for residential homes, kennels/doggie day care facilites, and other commercial properties. Please see our "Services" page for more information. We also offer dog walking services, for which we are bonded and insured. Our walking excursions are usually at least a half-hour long, but we also offer hour long walks. Walking speed depends on the needs of your dog. For pricing and additional please see our "Services" page. At EZ Pet Waste Removal we know that an excellent reputation is extremely important. To maintain that reputation, we are more than willing to promise the the most complete, dependable, and superior service every time. However, if you ever feel as if our services were not up to standard, we will gladly either return for an additional cleaning for no extra fee, or a credit to your account. Salvation for all over-encumbered pet owners is available for those of you are just too tuckered out to scoop the dog poop from your property even one more day. SCOOPS completely takes over this messy chore and provides valuable relief to desperate pet owners when and where they need it. Irrespective of whether you need them every day, or just one time to prepare for an event, they are by far the easiest way to scoop poop in Union, Somerset, Middlesex and further. Just a sample of cities: Avenel Carteret Colonia Cranbury Township Dayton Dunellen Edison Englishtown Fords Green Brook Helmetta Hightstown Spotswood South River Sewaren # Sayreville Port Reading Parlin dog waste. Since 2006, Pet Express Total Solutions has been solving dog waste problems for customers in New Jersey's Monmouth and Ocean Counties of NJ. Our pet care company provides professional pet waste cleanup services, pet food and Rx delivery at your doors for your convenience. You can hire our Fetch And Scoop services on a weekly, bi weekly, one time only, seasonal and year round. Here at Pet Express Total Solutions our goal is to provide you with the highest quality of service for both you and your pets. Saving you time is our priority. Call Pet Express Total Solutions, we are just a phone call away. New Jersey: Bayville, Pine Beach And Beachwood, NJ. Zip Codes 08721, 08741, 08722. Tired of picking up after your dog? Not enough time to scoop before the weekend party starts? Or do you just dislike doing it? Whatever the reason, we’re here to help! We offer daily, weekly, monthly or one-time scooping services! We will scoop your yard, double bag the poop and leave it in your trash receptacle. Our tools and shoes are sanitized before and after each service to prevent cross contamination. There is no long-term commitment – you can end services with 48 hour notice! We work with Apartment Complexes, Home Owner Associations, and any Commercial Property needing a solution to a pet waste problem. We will work with you to create a waste management plan for scooping from common areas, pool area, playgrounds, and other active areas. Are your pregnant or nursing and unable to clean the litter box? We will come to scoop the litter box, double bag the poop and leave it in your trash receptacle. Why Should I use your pooper scooper service? To help against the contamination and transmission to humans and pets of the numerous types of bacteria, diseases, viruses and parasites that are carried in canine feces. All equipment is sanitized before and after each visit. Is There a Contract? No, unless you would like one for your records. How Often Do We Pick Up? We provide a weekly, bi-weekly, one-time and seasonal cleanups. How Much Do We Charge? Weekly cleanups start at $12.00, depending on size of yard. We provide a free estimate for a one-time cleanup. Where Does The Poop Go? We double bag it and leave it in your designated garbage can. Do We Work Through Weather? Yes. We work all year round. Heavy rain and snow might set us back a day or two, but we will make sure the service is done. Can The Dogs Be Outside During The Service? Yes. If your dog will be outside, then we will first come and meet your dog, so we all feel comfortable. Are We Insured? The Poop Scoop Troop of NJ. is a professional dog waste cleaning service business that will routiely visit your home or commercial property and clean your property free of dog waste. The Poop Scoop Troop supports dogs in Northern New Jersey. We are happy to service your property and look forward to providing a safe and healthy environment for your family and canine companions at your home that you cherish so much. 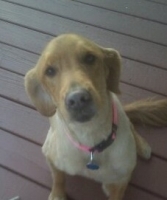 We are a year round service provider in the pet weaste removal industry. There is no time of year when your dogs stop doing their business, so we don’t stop doing ours! We are typically able to work in light rain or snowfall, as consistently servicing your yard continues to create a sanitary environment for you and your pets. Please call for additional information. Chasing Tails Pet Waste Removal In Union County Middlesex County Essex & Morris County, NJ. Chasing Tails offers pet poop pickup services to the following cities in the counties of New Jersey above as well as routine dog walking from an experienced dog walker as well as pet sitting in: Berkeley Heights, New Providence, Westfield, Summit, Cranford, Kenilworth, Clark, Linden, Union, Springfield, Scotch Plains, Roselle, Roselle Park, Rahway, Elizabeth, Millburn, Dunellen, Edison, Metuchen, South Plainfield, North Plainfield, Woodbridge, Avenel, Iselin, Watchung, and Gillette, NJ. Hate Scooping Dog Poop? Then Chasing Tails is the perfect solution for you and your pet care needs! We make life easier for dog owners by removing pet waste from their yards. Chasing Tails is located in Central New Jersey. We are a full srvice pet care company that prides itself on the following services for dogs and cats: pet sitting, dog walking, and poop scooping services for residential homes like yours. Our business is family owned and operated and services are performed with care and friendliness. 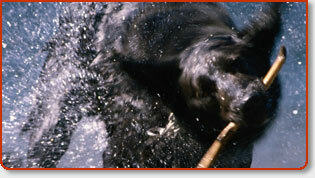 We are experienced dog handlers and know that when it comes to your dog caring is our #1 goal. Call today and start enjoying your yard tomorrow! One of our Special Forces members will visit your property to assess these factors before a firm price is provided. Your satisfaction is guaranteed! Earn discounts on referrals! Sign up a neighbor or friend, and as long as both of you remain customers in good standing you’ll receive 5% off of your waste removal services. Save MONEY on other services, as long as you are an active pet waste removal customer, you will receive $5 off of every self-service dog wash or full service pet grooming. Our pet waste cleanup service starts at $30 and up for the initial visit, and $18 for every subsequent weekly visit. Initial pricing applies to 1 – 2 dogs per household, and an average size yard. Please add $5 for each additional dog, per visit. We offer weekly, bi-weekly, one-time and special event cleanup, as well as customized plans. We are fully insured, owner-operated and require no contract. Toms River Brick Bayville Ocean Gate Pine Beach Beachwood Brick Jackson Howell Lakewood Lavallette Barnegat Waretown Lanoka Harbor Forked River Manasquan Brielle Sea Girt Belmar Brielle Pt. Pleasant Wall Belmar Spring Lake Neptune Ocean Eatontown Long Branch Avon by the Sea Bradley Beach Lacey And most of Northern Monmouth as well. Doggy Deuce Removal Service LLC. "We Do Our Business After Your Pet Does Theirs". Customer Satisfaction Guaranteed on all our professional dog waste removal services. Call or Email for a Free Estimate at (201)-663-1879. Keep your yard and commercial property clean of dog waste. Referral discounts available. Complete & dependable year round service. No contracts to sign. No minimum service periods. All shoes & tools are sanitized after each and every clean-up visit. All employees are outfitted in company uniforms for easy identification. Now Accepting all major Credit / Debit Cards along with checks, money orders, etc. Ask about our additional services including concrete cleaning, cat litter box cleaning and dog walking services that address all your daily, routine needs for your pets. Professional Dog Poop Pickup Services in New Jersey? Yes! You have a gardener maintain your lawn and garden regularly. An auto shop routinely changes your cars engine oil every 3000 miles. And you occasionally hire a maid service and carpet cleaning contractor to keep your home looking and smelling fresh. 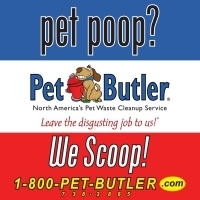 So why don’t you hire a professional pooper scooper company in New Jersey to take care of all your dog poop problems? If you’re a dog owner, then you know exactly what I am talking about. If you’ve got dogs, well then you’ve got dog poop. And loads of it I’m sure. For those of you who *don’t* know, the absolute worse chore for a dog owner is weekend dog poop pickup detail. In other words, spending your weekend afternoon dragging around a bucket shoveling dog poop. It’s a disgusting chore that simply must be done… and CONSISTENTLY for that matter. Thankfully, it doesn’t have to be that way anymore for us dog owners. Enter the professional pooper scooper (dog waste removal company). They take crap, so you don’t have to. I mean that figuratively and literally. 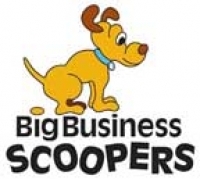 This may sound a little strange and more information that what you want, but I’ve actually started my own dog pooper scooper biz in California. Why? After using the pooper scooper service that my buddy so emphatically recommended to me, I became so convinced that this is an incredibly beneficial service that few cities even had access to, that I too have enthusiastically “thrown my hat into the ring.” I endevour to make others aware of this time saving service through listing other dog waste removal firms on this website as well as marketing my own dog poop pickup service in California. Forget about me. My dogs really have taken a liking to having their own personal pooper scooper (no longer me) come over the house weekly and clean up their mess. The dogs happily follow the pooper scooper around probably thinking they’re a couple of princesses. Your dogs will probably be equally happy with how much cleaner and greener their play area is. It does in fact make a big difference when someone is consistently driving out to your residential or commercial property and takes care of all the offending “product” your dogs consistently leave behind. You know for sure it’s getting done on a regular basis and it will never again make you late for your golf tee time or afternoon shopping spree. Did I mention your kids will thank you too for hiring a professional New Jersey Pooper Scooper Service? 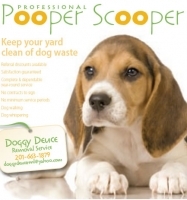 Take a moment and call around to see if one the New Jersey dog pooper scooper companies listed here is a provider in your home city. Or of course, you could keep all the fun to yourself and continue merrily shoveling away.